Nokia’s next mid-range handset C2 has leaked. The C2 will be the new addition to its C-series that run’s Nokia’s S40 Os. The most interesting factor about C2 is its form factor. 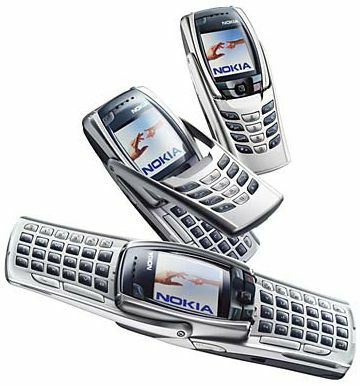 The C2 will somewhat look like Nokia 6800 which had a split QWERTY keypad. Though it might have the similarities of 6800, C2 will take a completely new level design. 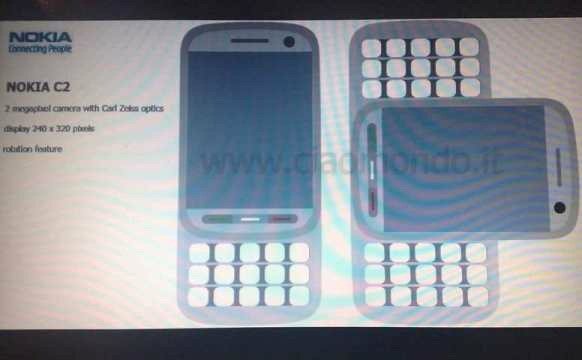 Nokia 6800 had a small screen, however the C2 will have a largish QVGA sized touchscreen. The keyboard is expected to have e-ink technology( electronic paper display(EPD)), also the keypad can be folded and it will have a 2Mp Camera with Carl Zeis Optics. As of now there are no other information about this new phone. Good news for mobile lovers. Aircel has launched a new stylish mobile phone with social networking widgets Aircel iNQ Mini 3G. Aircel INQ Mini 3G features Facebook, Twitter, Skype and Windows Live Widgets and easy Internet access. 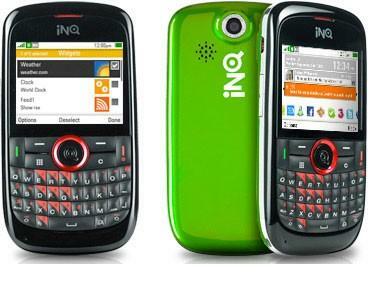 INQ is the popular British Mobile Company headquartered in London which manufactures the Handsets in collaboration with Aircel. This mobile has a specially designed phonebook that shows the mobile numbers along with the social status messages and Facebook profile pictures. Aircel INQ Mini 3G syncs your iTunes and Windows Media music, videos and photos straight from your computer. This mobile is available at all Aircel stores across the country. This new mobile phone features a 2 MP camera, changeable battery cover. This phone looks thin and also stylish. 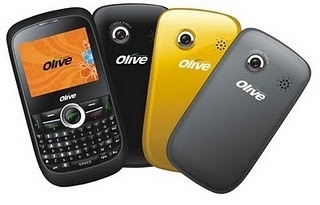 Its has a QWERTY keypad which makes this phone to one step ahead than any other. This phone will target chat lovers who are interested with social networks. Aircel is promoting these phones with brand ambassador MS Dhoni. 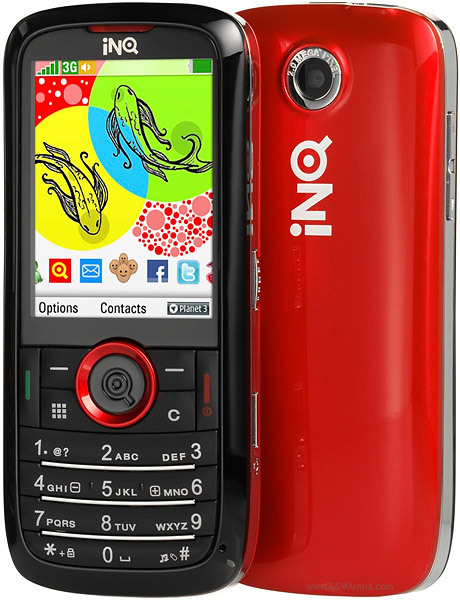 Aircel INQ phone are available in black and red colors. Also they have in-built camera for Facebook. Aircel INQ mobile INQ chat 3G is available at price Rs. 7,599 . The other model INQ Mini is set at price of Rs. 5,399 in India. Aircel is also planning to bid for 3G auction in future. The launch of 3G phones can be seen as a step further in this direction. * 2.2 inches (240×320 pixels) 256K color TFT Display. * GSM 900/1800/1900 Mhz Tri-Band. * 50 MB Internal Memory. * Plug and Play USB Data Storage Mode. * High Life Battery with 1150 mAh.